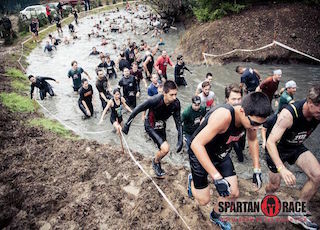 Hearst has acquired a minority stake in Spartan Race, an obstacle course that was founded in 2010. Much like veganism, you’ll never have to ask someone if they’ve run a Spartan Race, because they’ve definitely already told you. Over and over again. Spartan Races are currently held in more than 25 countries. A series about the race—Spartan: Ultimate Team Challenge—is coming to NBC this month. The company behind the race, Spartan Race Inc., also offers branded training programs, apparel, nutritional content and more. As part of the deal, Scott English, managing director of Hearst Ventures, is joining Spartan Race’s board of directors.